Productive! Magazine is a monthly magazine on productivity and self development. 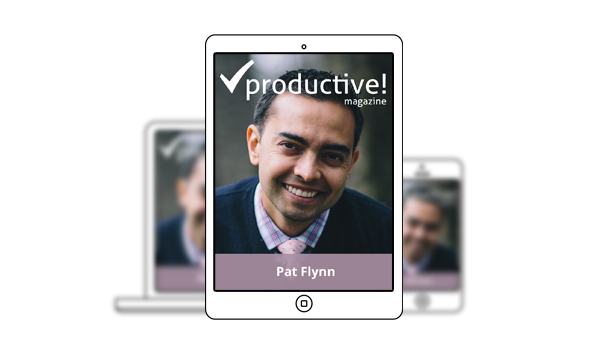 In every issue you will find an interview with productivity guru, entrepreneur, blogger or coach and 7 articles with practical tips and info on productivity, motivation, creativity, time & project management. Our goal is to help you find your own way to satisfying, non-stressful and fulfilled life. Productive! Magazine is published in English, Spanish, Polish and Japanese. The articles in Productive! Magazine are written by the top productivity experts, the best bloggers, coaches and trainers and are based on years of personal experience or professional relations with both individual and corporate clients. Our magazine can be a great source of inspiration and knowledge for everyone. The articles might be helpful for busy professionals, project managers as well as students, freelancers and employees simply willing to improve the quality of their lives. if you wish to read it on your Kindle you can use Send it to Kindle tool while we work on our own solution. Productive! Magazine is sponsored by Nozbe - time and task management app founded by Michael Sliwinski in 2007. The magazine is to provide inspiration and support for people trying to get things done better, faster and with less stress.